Detailing the physical features, habits, territorial reach and other identifying qualities of the Black-and-White Click Beetle. Native to the arid regions of the U.S. Southwest and Mexico, the Black-and-White Click Beetle is found where pockets of moisture spring up. 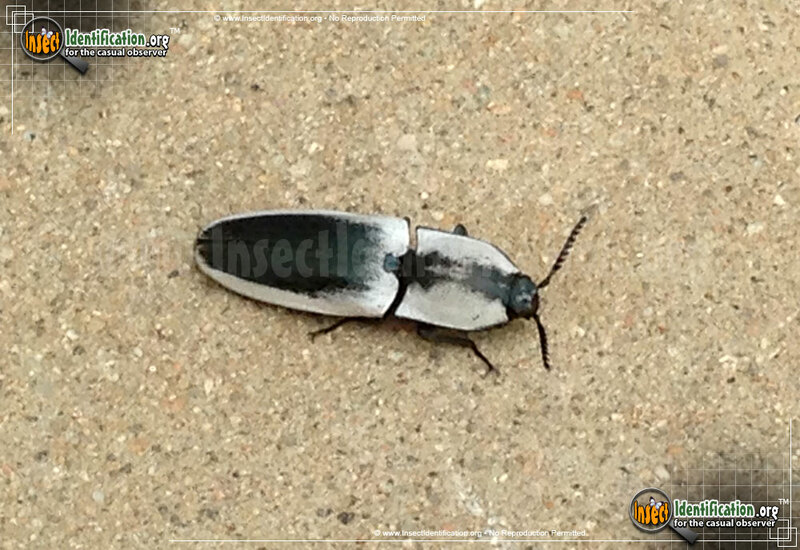 Long and slender, the Black-and-White Click Beetle has a large, black pronotum ('shoulder' area) that is edged in a creamy white color. The abdomen is also edged in white to varying degrees based on the individual. Some have more white on them than others. When knocked over or placed onto its back, this beetle, like all Click Beetles, can flip itself upright and onto its feet. It is more flexible in the thoracic region than other beetles, allowing it to snap a small spine which then launches the beetle upward. The flip can sometimes reach heights greater than 12 cm (5 inches). The snapping of the spine also creates an audible click. Black-and-White Click Beetles feed on vegetation that grows in the rare moist areas in desert-like regions in its range. Look for them near willow, Ponderosa pine, oak, and other trees found in the Sonoran desert and southern parts of the Mojave desert.